Our handmade leaf print banana fiber table mat features a charming solid colored base, that comes with a minimal biscuit leaf print in the middle. 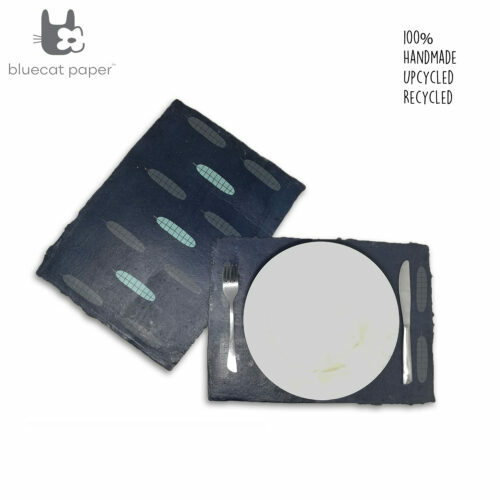 This pack contains a set of two table place mats that measure approximately 15 x 11” in size. 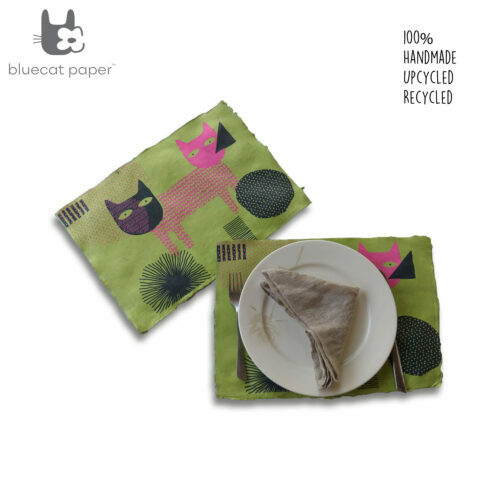 Offering you the perfect coverage, along with an up cycled table mat for your home or office use. 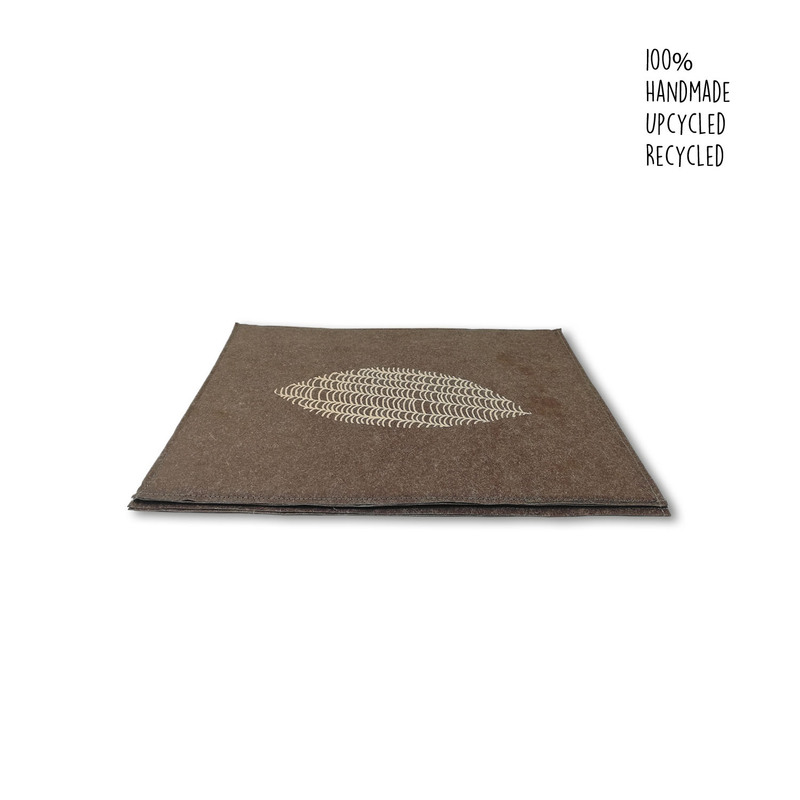 These mats are crafted by our artisans who use natural materials to ensure a recycled formation. The careful process includes a handmade printing, and collaboration using premium grade cotton paper. 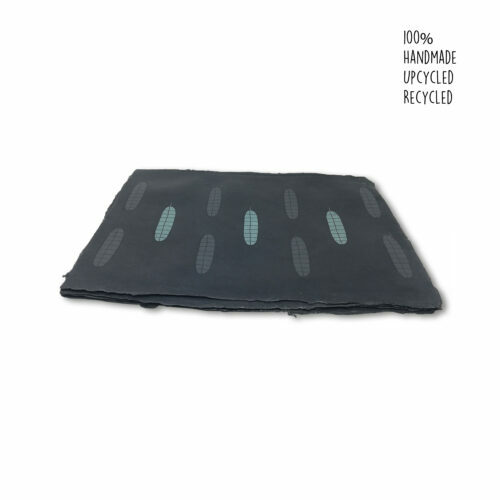 To add a popping touch each mat comes with a natural beeswax coat that prevents staining and wear and tear. Creating a unique set of table mats that are perfect for any special occasion, or everyday use. As these mats can easily take wear and tear, and only need a quick cleaning process.